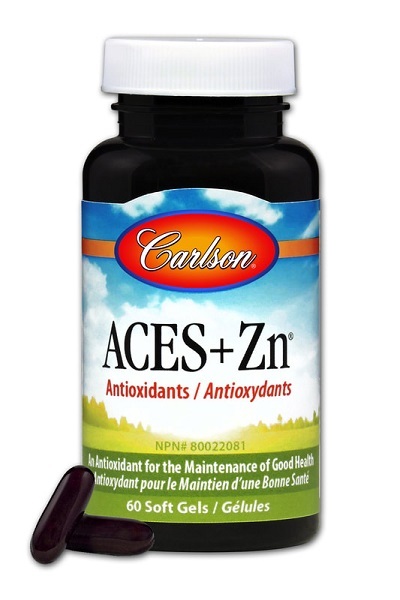 ACES+Zn (60 軟膠囊)- Save-On Nutrition Centre Ltd.
Carlson ACES + Zn® provides vitamins A, C, and E; selenium; and zinc. Selenium and vitamins A, C, and E are powerful antioxidants that help maintain healthy eyesight, skin, immune function, and overall good health. Zinc is also an important component of one of our body's most powerful antioxidant enzymes, superoxide dismutase (SOD). SOD repairs cells and reduces the damage done to them by superoxide, the most common free radical in the body. Get four antioxidants plus zinc all in one soft gel. Adults: Take 1 soft gel per day with food. Take a few hours before or after taking other medications.